Unfortunately, the restoration efforts at White Point fell through and the museum will not be created. The Nike Historical Society will still like to give all the individuals involved a "Well Done". We are leaving this page on our website in order to honor the efforts made in this endeavor. 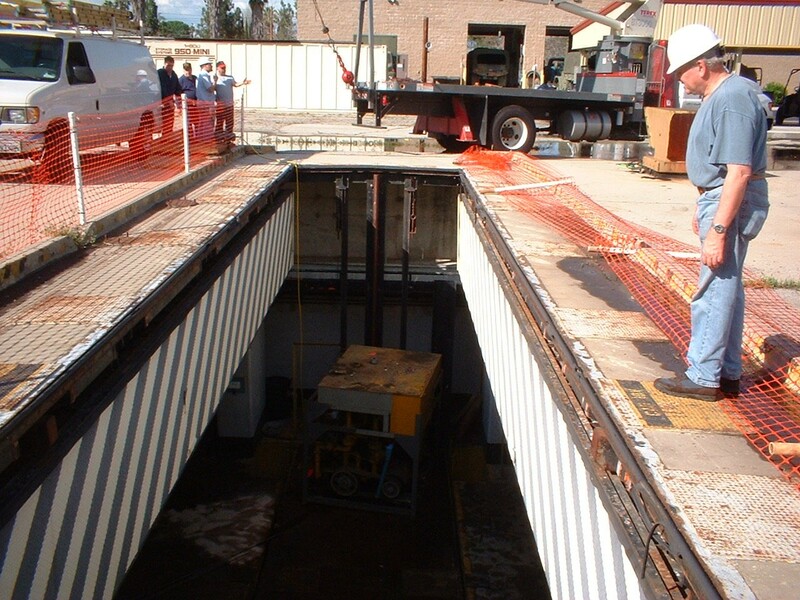 The Launcher Area at White Point, Los Angeles Defense Missile Site LA-43 is in the restoration process. Plans are to refurbish one of the pits and turn it into a museum which will feature all the air defense history of Los Angeles. The photos below are current and would be classified as the before period. The photo below is of a work crew from the folks restoring Site LA-43 and members of the Nike Historical Society, who came to lend a hand in removing equipment from the pits at Site LA-96, located in Van Nuys. The site currently is occupied by a unit of the California Air National Guard.